The editorial in this week’s BMJ (below) says it all. Our attempts to try and improve productivity within Barts-MS may be simply a sticking plaster. It is clear the NHS needs more money. I suspect innovation won’t be enough, but is that a reason not to try? Our proposal to set-up a Barts-MS Expert Patient Course may be an act of folly. During the course we propose teaching you everything you need to know about MS, the management of MS and how to monitor and manage your own disease. You will then provide you with the tools to get on with it. The system we propose setting-up will allow you to contact us if you run into problems and/or need help, for example with a specialist referral. We will hopefully allow you to self-refer for essential services, for example continence advise and therapy. We also will identify expert patients with MS who can help us run the teaching course and our service on a voluntary basis. If you haven’t responded already we would appreciate it if you could complete the survey below. We need the data to make the case to our managers and to Barts Health for crowd funding. For almost all the wrong reasons, NHS performance is scarcely out of national news headlines. The State of Care report just published by the Care Quality Commission (CQC) outlines a system having to deal with a record 23 million emergency department attendances and six million hospital admissions in 2015-16. The CQC chief executive, David Behan, identifies falling and failing social care provision and pressures in primary care as key contributors to problems with NHS performance. “[They] are now beginning to impact both on the people who rely on these services and on the performance of secondary care. The evidence suggests we may be approaching a tipping point,” he said. The cause is obvious. Despite a 33% rise people aged 85 and over the past decade, the proportion receiving care funded by local authorities has fallen. A National Audit Office review found that local authority income, including council tax, fell by 25.2% in real terms from 2010-11 to 2015-16. This hits on the same day that NHS England’s latest figures for August 2016 reveal that overall referral-to-treatment performance deteriorated. The total waiting list rose to 3 691 739, and the proportion of people referred for elective care being treated within 18 weeks fell further below target to 90.9% (this is not including providers who, for various reasons, are not reporting their waiting times). There were 1 931 981 emergency department attendances in August 2016 (3.6% more than in August 2015). Attendances over the past 12 months are 4.2% higher than in the preceding 12 months. The number of days of delayed care rose to 188 000—the highest since monthly data were first collected. Yet August 2016 wasn’t all bad news. The financial and performance regulator, NHS Improvement, announced that overall, the NHS provider sector had hit its financial target in the first quarter of the 2016-17 financial year, reversing a three year trend of missing it. The Treasury is understood to be pressuring NHS leaders to achieve quarterly financial balance at almost any cost and has no appetite to revisit the 2015 comprehensive spending review financial settlement. The government repeatedly trumpets its £10bn extra for the NHS, saying it only asked for £8bn. This isn’t really true: as financial expert Sally Gainsbury of the Nuffield Trust think tank points out, the “extra” £2bn was allocated before the comprehensive spending review in 2014, to mop up deficits. In addition, the House of Commons health select committee calculates that the actual increase will be just £4.5bn from 2015-6 to 2020-21. And Gainsbury adds that once healthcare specific inflation is taken into account, that figure dwindles to £0.8bn. Pressure on the NHS and social care seems unrelenting. The latest QualityWatch report from the Nuffield Trust and the Health Foundation highlights how what was once considered “winter pressure” is now almost year round. Winter is the new normal. It can be hard to remember that when NHS system leaders collaborated to publish the Five Year Forward View two years ago, there was general buy-in to its vision of a more networked system, away from being a heavily acute focused series of organisational silos. One problem was the lack of a means of delivering the Forward View’s desired change in providers. One answer emerged in the 44 geographically based sustainability and transformation plans (STPs), announced last December and currently being negotiated and finalised. These bodies, crucially, have £2.1bn of STP funding in 2016-17, which can be withheld from providers and STP “footprints” who do not deliver financial balance. So STPs are the change delivery vehicle? Politicians may hope so. At Prime Minister’s questions on 12 October, six of the 29 questions were asked on health and NHS issues. The latest parliamentary health questions heard numerous concerns about provider issues and STP processes and results, including from Conservative MPs. The political and public reaction to STPs is about to get interesting. There is a conspiracy here which extends into the bowles of parliament, the CQC and governing bodies are in cahoots; at the one end failing trusts but at the same time placing them under financial measures (short for making more cuts). The end result is a deceleration that the NHS is no longer fit for purpose and complete privatisation. Trusts have been requested to come with an STP and are simply following orders from above. The Carter report which encourages this looks at it from an angle of a hedge fund which again is volatile and not sustainable (I'll stop my rant now!). At moment nothing looks and feels sustainable; democracy, capitalism, socialism, etc. The World and Society is in such a state of flux that is hard to fathom. Nothing epitomises this more than the US elections (and Brexit). I will stop ranting! 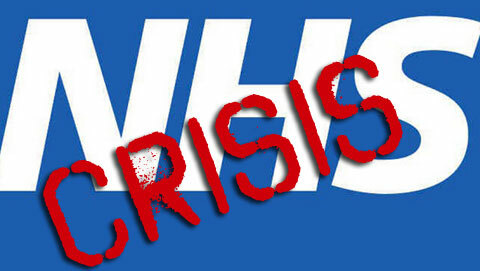 Have you seen the film 'Sell Off: The Great NHS Heist' documentary?